Click the button below to add the Certified Process Design Engineer (CPDE) Course - Accredited to your wish list. There are many frameworks and standards that define best practices for achieving quality IT service management (ITSM) - ITIL, ISO/IEC 20000, COBIT, CMMI, DevOps, Knowledge-Centered Support, etc. While each describes processes and controls (what to do), none provide clear, step-by-step methods and techniques for actually designing, reengineering and improving processes (how to do it). Written in-house by the ITSM Academy content team, the Certified Process Design Engineer (CPDE)® certification course teaches how to (re)engineer and improve quality, lasting IT Service Management (ITSM) processes. This highly-interactive course provides hands-on opportunities to analyze, design, measure and integrate ITSM processes. The knowledge obtained in this course applies to every Service Management framework, standard and maturity model. Class also includes GAME ON! 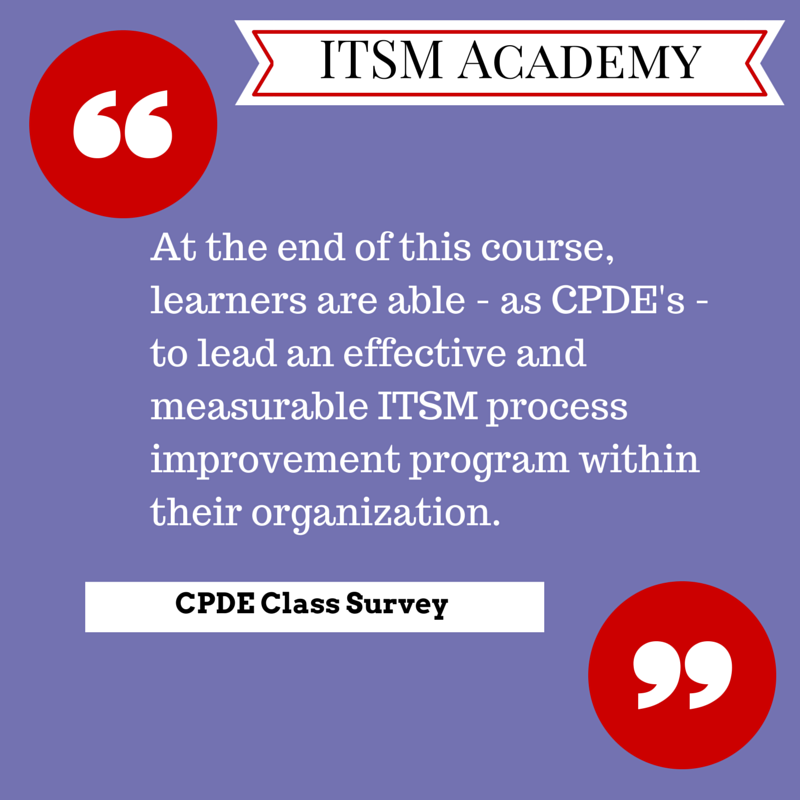 An Interactive Learning Experience® and access to ITSM Academy's Learner Portal. Delivery: Course is delivered by instructors with real-life implementation experience. Learn from those who have actual hands-on expertise with ITSM process design and engineering. For five days, our learners are immersed in material that is presented in a fun, practical manner using exercises, sample exams and real-world service management examples. Project Management Institute (PMI) Professional Development Units (PDUs): ITSM Academy is recognized by PMI as a Global R.E.P. Project Management Professionals earn 38 contact hours or PDUs upon completion of this course. 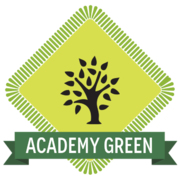 Instructors: As with all ITSM Academy training, our instructors have successful track records as IT professionals and bring that acumen into the classroom. Utilizing the highest quality content, our trainers blend their real-life experiences into lively classroom discussion. Trainers for this course are CPDEs, ITSM, ITIL and Agile Experts and have successfully completed ITSM Academy's CPDE Train-the-Trainer Program. Prerequisites: Foundation Certification in IT Service Management is recommended. Exam & Certification: Learners will be equipped to earn their Certified Process Design Engineer (CPDE) accreditation on the final day of class by achieving a passing score (65%) on a 90 minute exam, consisting of 10 multiple choice, scenario based questions. Any learner not successful on their first attempt is eligible for one (1) free resit. Live, Virtual Classroom: Log in with the instructor and the other students - no travel! ITSM Academy Open Enrollment Class Terms and Conditions. Thanks for the amazing instruction and very enjoyable class, and I hope to sit in on another with you. Course was exactly what I expected. No improvement necessary! I like how we focused on the juxtaposition of simplicity and complexity in process design and trying to find balance in the context of application to your own environment. I learned so many new concepts related to CPDE; such as TIPA, KCS, and VeriSM what a CPDE is!! Got a strong understanding on how to use the frameworks from where we are now. She was a great instructor; knowledgeable, good teacher, friendly. Perfect! As a career software engineer turned DevOps junkie a couple years back, I knew this course would be a great addition to my knowledge as far as process improvement goes. I was surprised to see the similarities between more of the ITSM side of things and years of software (Agile, Scrum, Lean) and DevOps (OCM/VSM) - we are really all doing the same thing!